In addition to being everything Atlassian we focus heavily on our people and creating a culture that is fun, challenging and rewarding. In fact, we recently finished 6th on the Best Places to Work list and plan on moving up that list! Support highly available installations of Atlassian Server and Data Center products from both the user interface and system administration. The products include, but are not limited to: Jira, Confluence, BitBucket, Bamboo and FishEye/Crucible and Crowd. Support existing application deployments, including upgrading and patching often via configuration management tools such as Ansible, Puppet, Chef, etc. Provide best practices and guidance in both on premise and Cloud-based environments. May include work with CloudFormation or Terraform. Write system administration scripts in Bash, PowerShell, Python or Ruby. Serve as Atlassian Tools Subject Matter Expert; advise clients on Atlassian, related technologies and Isos Atlassian Services best practices, guidelines and recommendations. Regularly contribute informative and engaging original content to be used in Isos Atlassian Support and Services marketing efforts in the form of white papers, blog posts and social media status updates. Continue to build on Atlassian administration skills and technical skills to reach the same levels of competency as the Delivery team consultants. Ability to conduct yourself professionally and within Isos values. Ability to effectively manage time and expectations with internal resources and clients. Ability to manage multiple clients and issues simultaneously. Ability to communicate effectively (both orally and in writing) for technical and business operations audiences . Ability to function on a highly collaborative team of fellow engineers as well as front end application admins. Configuring and working with various deployment methodologies, including "bare-metal", VM and Cloud (e.g AWS). Configuring and scripting for various operating systems with a strong focus on Linux and/or Windows. Working with, configuring and integrating with authentication / directory services like Active Directory (LDAP), Crowd, OAuth, Okta and SAML. Supporting and working with relational databases, with a strong focus on MySQL and PostgreSQL. Third-party and custom application installation, configuration and/or support. Minimum 2+ years' experience and/or expert knowledge of Atlassian Jira and Confluence. A combination of advanced or end-user knowledge of all other supported Atlassian products. Minimum 2+ years' experience working in a consulting or customer service role. Apply now via the application form. 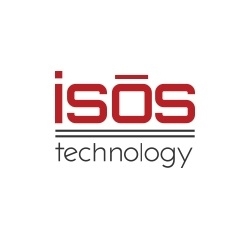 For more information about our organization, visit www.isotech.com.